For the record, I’m quite certain that this article will be a bit controversial. And to be honest, I’m a bit saddened to know it. However, I remind myself that such is the case because the people I care about—such as yourself—have long been taught several counterfeit standards when it comes to money, debt, paying interest and being truly prepared. So, if you get a bit grumpy with me for making you squirm a bit in this article, I promise you that I will totally forgive you and even empathize with your position because I’ve certainly been in that same place. A couple days ago, I tuned in to one of my favorite talk shows on the radio since I had a rather long drive ahead of me so I tuned in to make the drive go by more pleasantly. Darn it. I picked the wrong day for pleasant warm fuzzies. My host de jour had on a special guest and so-called expert on debt. This guest has recently come out with a book that has been raved about on the New York Times Bestseller List. The show was taking live questions from listeners; a middle-aged man called in and stated that he had a credit card that was costing him 17% interest and that the rules on the card just kept changing in favor of the credit company and he wanted to know if he should take money out of his retirement to pay it off. The “expert” informed him that one should “never take money out of retirement to pay off a debt” because the penalty for withdrawal and the interest earned on the retirement fund far outweighed the benefit of paying off the credit card debt. As I heard this advice ring through my surround sound speakers, anyonelooking at me at that exact moment may have thought that my life had just been narrowly spared as the result of an errant driver on the freeway. It no doubt appeared that I was engaged in a bad bout of road rage by the look on my face and the fact that I was slinging passionate sentences towards my windshield. The only problem with that presumption though, was that there was hardly anyone joining me on the freeway at this time. I suspect that I had some rage in me, but I must sheepishly admit that it was not geared toward another driver, construction worker, or ridiculous pedestrian. Rather I was quite disturbed that such advice was being given, and even worse, was actually endorsed by my favored talk show host. The bottom line is, the advice was just plain wrong, and in my opinion, dangerously wrong! If people could look at their monetary affairs from two very solid perspectives, then these kinds of errors in judgment would lose their popularity. Perspective Number One: It’s important that money be viewed with the understanding that rough times are ahead of us which will greatly devalue our assets. How do I know this? Because history has continued to deliver this ruthless cycle ever since soft asset currency was created, AND because our nation (and even the world) has done nothing to learn and thus avoid the very same actions of the past which cause a painful financial collapse. In fact, not only are we in the perfect position to be hit with such a collapse soon, our economic policy, both domestic and international, has ensured that it will be the worst and most devastating collapse ever! I know. I know. I don’t usually take this kind of position when it comes to preparedness. Understand that I still wholeheartedly believe in peaceful preparedness. But without a solid foundation of truth, any preparedness actions we take will be futile when up against the monumental challenge ahead. I’m not trying to get anyone to panic. I’m simply hoping and praying that our preparedness efforts will be done in wisdom. Ignoring or being ignorant of one’s true state of demise can be more dangerous than the not preparing at all, in my opinion. Continuing on in this vein, it’s important that we understand that with a serious financial collapse, the money we have in retirement or other savings is at risk of turning into nothing due to a dramatic devaluation. That being the case, wouldn’t it be wise to take care of every needful thing while you still have the assets to do so? Paying off that credit card while your currency is still worth something makes a heck of a lot more sense to me. Yes, I think that retirement accounts and savings accounts are wise, but only if they are in their proper place of prioritization. Remember, out of the Ten Principles of Preparedness, Financial Preparedness is number 9 in terms of prioritization. Folks, it was only 2 to 3 years ago in which millions of Americans lost a serious chunk of their retirement funds, all because of a plummet on Wall Street. These folks did everything right; they worked hard; they contributed to their savings/retirement accounts; they were conservative in the selection of their investment portfolio. But in spite of all of this—to no fault of their own—they lost years of retirement monies seemingly overnight. As a result, my dear father-in-love who’s always been frugal, hard-working, and avoids debt, has now joined millions of other seniors in the same position; and feels that he now has to work until he’s 72 years of age in order to retire and keep a warm roof over his head. Also, has this “expert” completely forgotten about Enron and other companies which were vile stewards over their employees’ retirement accounts? Has he not taken a look at the Social Security account and its imminent failure? Seriously, when I heard his answer to this caller, I couldn’t help but wonder what planet he’s on or whether or not he works for the Government or the Federal Reserve? *O.K…Deep breath. Calming down now* These are just a few of the reasons why I believe that postponing the elimination of a debt in favor of keeping a retirement account is shortsighted—both forward and back. Do what you KNOW you can do now with your money that is vital to your future, and then you can get more focused on a retirement plan. In the case of the man who called into the radio show, his withdrawal and subsequent penalties incurred from his retirement account would create a much smaller impact on his monthly retirement money than would the monthly interest charge and required payment of his credit card. Even without a serious collapse, most persons realize that a million dollars today isn’t what it used to be. In fact, if you can believe this, if you’re “just” a millionaire, you’ll not likely to be accepted into any lofty social circles. Discrimination is quite obvious towards mere millionaires and seems to only pay attention to billionaires nowadays. So putting off eliminating credit card debt today, with today’s dollars, in favor of relying on a future value of money which may not be there, but most certainly will have a lesser economic impact, is sorely lacking in wisdom, don’t you think? Perspective Number Two: The impact of credit card debt in our lives should never be underestimated. It is the financial equivalent to brain cancer, in my opinion. And it should be vehemently avoided! It is not harmless. Its presence in a household poisons the very soul of a family. It enslaves entire communities and is a merciless dictator. It corrupts core values, diminishes accountability, and betrays self-worth. There is no such thing as an altruistic credit card company. Which will mean more to a person’s retirement—being debt free or being handcuffed to the accrual of interest nearly 5 times that of inflation? A noose of credit card debt in the midst of retirement is a voluntary shackle and should be avoided at all costs. Every dollar permitted to accrue interest because of debt represents a self-inflicted wound to the foundation of our economy. Worse, every dollar of debt which a person accrues leads to another 180 dollars of debt in our economy. To underestimate the impact of credit card debt in our own lives and in the global economy is akin to believing that a successful heroine drug dealer improves the economy because of the income taxes he pays. On a final note, I implore you to understand that credit card debt has no virtue whatsoever. Please don’t fall for the illusion that you are mightier than a credit card. If you are reading this and have somehow rationalized that you are the exception to the rule, then you have already fallen prey. You may tell me that you never use it and if you ever do, you pay it off. I assure you that it’s still a danger because you are actually allowing a piece of plastic control you; not to mention the whole credit score scam, money laundering scheme, ego stroking, and enslavement that goes with it into your life. If you can’t bring yourself to cut them up and throw them away, then you’re smitten. If you feel like you MUST have it, even without a balance, then you have already been bitten. It’s like keeping a poisonous snake in your home but somehow believing that you’ll be safe so long as you keep it in the closet. Why have the snake in the first place, folks? Take a step back and ask yourself, what is it that compels me to have this thing? If you are honest with yourself, I am quite certain that you will not find any good motivating its possession. Instead you will find fear of the unknown, entitlement, materialism, an empty promise of some other benefit, or some other deceptive encouragement. If it doesn’t bring any peace and security in our life should we really give it shelter? While all of this may sound a bit dramatic to the unconvinced, I’m 100% certain that credit cards hold no value—not even in the event of an emergency. A debit card works just as well if your transaction requires plastic; and any emergency that one might feel needs the aid of a credit card, will only be compounded in trial if used. Financial collapse, earthquake, hurricane, job loss, serious illness, or national power outage—none of these “emergencies” will be served well with a credit card. Cash or perhaps only gold and silver, are your real friends in such an instance. If that’s the case, then shouldn’t we eliminate it from our lives along with the eroding values which accompany it? Here’s one last thought for you. How would our economy be impacted if millions were to shred their credit card today? Payment History 35%--Paying your bills on time. Debt Usage 30%--Low balances and high limits. Credit Age 15%--A long credit history shows that you are established. Account Mix 10%--A good mix of credit and loan accounts. Inquiries 10%--Applying for new credit conservatively will boost your score. I can’t pay cash for a house, but a good credit score will allow me to get a mortgage. Right or wrong, many companies run a credit check on job applicants. Following your advice would reduce my score by as much as 70% and possibly prevent me from obtaining a job or a place to live. No thanks. Five years ago, I would have raised quite the rukus after reading this article as well. However, I'm a bit wiser now. After working with credit scores, particularly "poor credit score" clients, for nearly a decade, I'm keenly aware of how a credit score is ostensibly contrived. However, a credit score is unnecessary for those who are committed to being financially independent. Making everyone believe that they have to bow down to Experian, TransUnion, or FICO is a facade in the truest sense of the word. I (like most people) don't need someone to tell me whether or not I'm capable of paying my bills. I simply do it, no ifs, ands or buts. I'm self-employed, so I'm not at the mercy of some "credit scoring gods" there either and I negotiate with my insurance carriers for lower rates because I pay annually. All they really care about is getting their money--especially in this day and age. If I absolutely had to move somewhere else, I can do a lease option to buy or a land contract (contract for deed) or a rent to own. This isn't bad advice unless a person feels that they must continue to be indebted to the "credit scoring gods" but it sure does carry with it some uncomfortable consequences initially because it's how we've been trained to "play well with others" ever since kindergarten. However, I am 100% positive that such consequences lead to a more prepared and independent household. Sage advice, Kellene. I don't owe a dime in credit card debt and don't intend to ever again! It's never to late to make plans to stock up on all food, water, and other items needed when there is no one out there to help you. In the climate of the present leaders we can not afford to depend on them to help us. They are to busy taking away everything we need to surive in the now future. Even while we were so busy watching about the burning of the karane (sic) our leaders were meeting with the Chinease (sic) to offer them a citizenship in 5yrs for their IOU's and take over all of the failed bussines (sic) here. And to add to that the government is in the process of making it illeagle(sic) to grow a garden or have a farm to grow food. I suggest each and one (sic) of us needs to make sure our family will not go hungry or have the shelter and clothes to surive. Its never to late to start! Charlotte where did you get your information. I totally believe you. That was just a crackpot of threats from Florida. Come on, a little church of 30?? Excellent advice; thank you for laying out the truth in a clearly understandable format. We are working our way out of debt and it is very difficult but most worthwhile. I would like to thank you for the very sound info.. You have said this in the past. After a lor of soul searching, I paid off and dumped all of my credit cards. I now have none, and never will. My point here is you do not need them! I still do a lot of buying over the internet. I have ask every vendor that I buy from...if they except checks. They are all happy to do so, including five Star Preparedness. If you want faster service send a postal money order, or certified check. It is just as fast and safer, as now we are not at risk of internet hackers. We used to do things this way. Why not again? I am on board with you Kellene. For years my husband told me that we needed to take the house as a deduction - NO MORE AND IT IS WONDERFUL! I am getting rid of my cards today! Where did Charlotte Lequieu get her information. I totally believe it. Anything that brings a huge amount of attention I now consider to be a huge distraction for something else going on. I even go so far as to say that the H1N1 was made up - no more flu shots for me. I am even suspicious of the oil well fiascal. Who really caused the problem?? Why wasn't it taken care of in a timely manner? It will just fuel Obama's desire to stop oil exploration because "look what happens to our environment" - I am beginning to believe no one as far as the news goes. I am usually a pretty positive person, but reading Charlotte's message has got me going again and I think in the right direction. Clinton's trip to China and Russia have not been goodwill - they are up to something! I do not know about the purpose of the Chinese visit, however, there has long been a bill trying to be pushed through by the Monsanto cartel to make it illegal to grow your own produce without using a specific seed (provided by Monsanto, of course) and without complying with all commercial USDA requirements. The proposed passage of the bill that would treat dairy milk like a harmful chemical substance, and thus require the need for costly preventatives even for family dairy farms is just the first step. Kellene, can you help me understand how one dollar of debt leads to a 180 dollars of debt. Yes, I will attempt to do so here, albeit briefly. There's a number of behavioral research studies done that show that when a person opens themselves up to one dollar of debt, even the fiscally conservative will allow themselves up to $100 of debt. In addition, every single dollar of debt that is owed to a credit card company, when owed by a "strong credit rating guarantor" is represented as an asset for the credit card company, much like a contract for rental income on a second home we may rent out is an asset that offsets our monthly expenses, even though the money still has yet to be paid all those months into the future . Thus they are able to turn that asset into collateral backing for even more credit extension to grant others, which of course is used, more times than not. It's a vicious circle when you look at it, and it all starts with just one dollar. Respectfully, I disagree with you about credit cards. I love the convenience of plastic, but prefer a barrier between my vendors and my bank account, so I use credit instead of debit cards. That way I can and do review the statement as soon as it comes in (actually, I monitor it online), and if there's anything wrong, I'm not out any money. I like the fact that if I have a dispute with a vendor, the credit card company puts a stop on the transaction until it's sorted out. I like the fact that the credit card company is actively monitoring my account for possible fraud, something my bank account will not do. The "loss protections" for credit cards were superior to those for debit cards, the last time I checked (admittedly quite a while ago). I pay no annual fees; occasionally, a company will try to implement one, but I call up and threaten to cancel my card and they waive it. I pay no over-limit fees because I never go anywhere near the credit limit. I pay no late fees because the bill is paid automatically out of my bank account, before the due date. I pay no interest because I pay in full every month. I'd guess it's been at least 15 or more likely 20 years since I've ever paid a credit card company a nickel. I receive on average around $800 a year in cash rewards a year on my cards, and enough frequent flyer miles to fly me and a companion to Europe for free every three years or so. You may be right that I'm just fooling myself and I'm really being taken advantage of by the big bad credit card companies, but I just don't see it. And I suppose it's possible that the cards' mere existence in my wallet may someday cause me to break out in a fit of irresponsibility, but isn't that kind of like the argument that the gun-control people make, that a gun makes normal, law-abiding citizens suddenly turn into mass murderers or commit suicide? It seems to me that credit cards are just tools, like a gun, hammer, checking account, etc. Granted a lot of people use them irresponsibly, and the companies make a lot of money off of those people (and why not?). But other people like me find them useful, convenient and inexpensive. Hmm... I actually get those same benefits with my debit card, including cash rewards for the transactions I conduct. The gun analogy is strong except for one vital point...the companies from which I purchase my guns do not harm the economy in any way, whereas that's not the case with the credit card companies. Keep in mind the infusion of fictional money angle and the fact that credit card usage--whether responsible or not--is deliberate inflation. Regardless of whether or not it's paid off every month, there are still 28 days of inflation involved. Considering that I watched how quickly companies/banks can "earn money" in just a matter of hours on the trading platform market, the impact on our economy as the result of those 28 days should not be underestimated. Keep in mind, I don't believe "profit" is a curse word. I don't loathe anyone for making a profit. But credit card companies are merely an extension of the fractional lending that's permitted and pervasive in our banking system--except that credit card companies are not anywhere near as accountable as FDIC insured banks are. I realize that this is a hard pill to swallow. 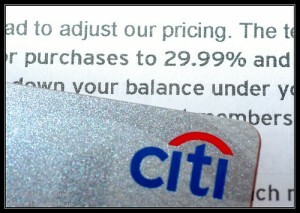 With all of the "perks" of a credit card, it's challenging at best that folks will see the real harm in them. My hope with sharing this opinion is that some folks will see things a bit clearer, and eliminate them and their nefarious cousins (e.g. the credit scoring cartel) from their lives and our nation's economy. I believe that we both know that you are indeed the exception to the credit card use scenario. Like I said though, it's not just about irresponsible use. It's about their very existence which indeed does harm to our economy. Whereas the existence of guns, in and of itself, does not. I respectfully disagree also. You cannot buy an airline ticket without a credit card - or rent a car - or secure a hotel room. I would NEVER use my debit card for any of those transactions. A dishonest person could empty your bank account in seconds with your debit card number. Never does my debit card leave my sight nor do I give it to anyone over the phone or online. I agree with Pearl. 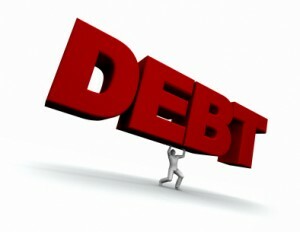 There is no reason to rack up debt just because you own credit cards, but they are necessary in this day and age. A responsible person does not bow down to the credit reporting companies. There's no need if you have good credit. We do have 2 small debts - at 0% interest and we get 2-3 0% offers every week in the mail (not that we use them). That's what good credit does for you. If everyone cut up their cards as you suggested, there is not enough "cash" to go around. Just try and get your money out of the banks if there is a monetary crash (which I predict will happen one day soon). I also predict that IF there is a monetary crash, the entire world will use only "credits" (think Star Trek) as legal tender - just numbers in a computer. That's what the "one worlders" are working towards (not that I want that!!). Credit cards are here to stay. It's up to each individual to use them responsibly. If they don't, the credit card companies win. My friend, I just did a 2,000 mile trip cross country trip with nothing more than a debit card. It's impossible to NOT bow down to the credit reporting agencies and have good credit. We can't serve two masters. Saying a person has good credit is the exact same sentiment as a person in the early 1700's saying that they are a good British patriot. I know. I know. That may be a painful soundbite, but let me try one more time to state it a bit more clearly. 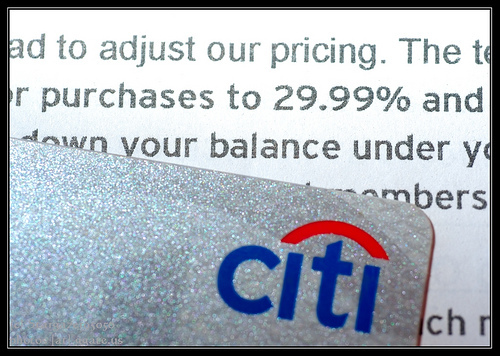 JUST HAVING A CREDIT card causes inflation--even if it's not used. 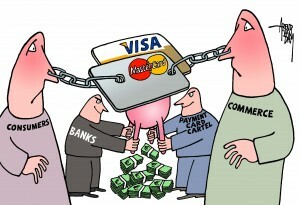 In our money system all money is created first by having a debt, otherwise known as a line or credit. It doesn't matter if you use your cards responsibly or not, the line of credit is still there. 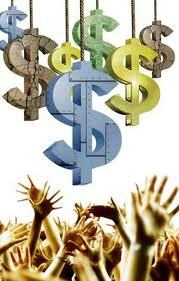 Therefore you have increased the money supply and the effect of that is to DILUTE all other money in the system. In other words your own money in your savings, retirement account, etc. and in everyone else's. Credit cards do NOTHING to help prevent a crash, they only fester the wound. When there is the monetary crash, wealth will be in hard assets. The crash will come become the entire world is already using numbers in a computer. Here's another thought...Would we have nearly the problem of identity theft if credit cards and easy lines of credit didn't exist? I don't "die on a mountain top" for many of my ideals, but this one I know that I'm correct on. I hope that others will come to see it as well. Please give this some more thought--challenge your mind--and challenge what you've accepted as "gospel truth" thus far. I thought exactly like you did several years ago. Kellene, I understand better now what your global objection is to credit cards, BUT (and I admit its been a long time since I read Milton Friedman or other monatarist economists) I believe there is no meaningful difference in the effect on the money supply of a credit account versus a bank account. They both rely on the fiction, enabled by the government, that there is money there backing up the account (the availability of credit, in the case of the card, and the availability of money "in" the bank account). In a way, the extension of a credit line to the card holder is less damaging to economic reality than the lie that your money is actually "in" your bank account, because a credit line is contractually revocable at will, while a bank deposit is backed up with various fake guarantees, like FDIC. But I may be wrong, and when I get a chance, I'll take a better look at what you've said and do a little research. One thing, though, about debit cards. When you use them, you create an immediate withdrawal from your account in favor of the vendor. If the withdrawal is in error, fraudulent, etc., you are on a very short timelne to get any protection from your bank, and if the vendor is a smart fraudster, you may be out of luck. Even if the vendor is honest, you are out the money while things get sorted out, and in the meantime you may be bouncing checks and incurring overdraft fees. Moreover, in using your debit card, you are spreading your bank account information and PIN number all over town, increasing the danger that an unauthorized someone will capture that information and use it to rip you off. It's bad enough if your credit identity is stolen, but when your bank account is exposed as well and possibly stripped bare, I'd say that was much worse. These are risks many people seem to take casually; I don't. Pearl, the easiest non-debt way to handle this is to have a vendor run your debit card as a credit card. You're still afforded the protections of credit, you DON'T actually USE any credit, and you're eligible for the cash-back bonuses of credit cards from the bank that issued your debit card. You sign instead of use your PIN at the kiosk. Your information isn't compromised, you have all the protections in place, and you're not using credit. 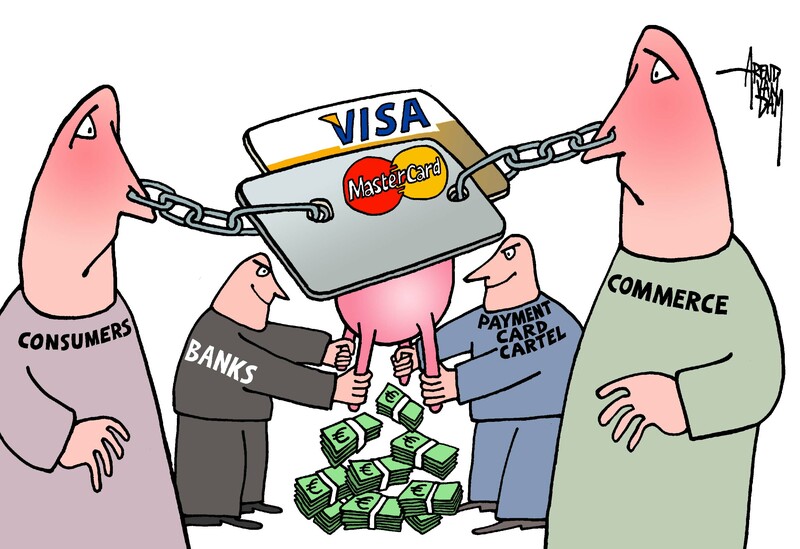 Credit is not for everyone, but the short-term credit I use with credit cards just has never been a problem for me, while the idea of someone taking money out of my account before I can be sure it's the right amount really IS a problem for me, along with the privacy factor. I haven't looked at my debit cards in a long time, but I do remember that my entire bank account number was a part of the debit card number, so even if I do not have to use my PIN, the vendor still knows my bank and has my bank account number, which is more info than I want to share casually with the world. I do not have credit cards from the same banks I have accounts with, as yet another layer of protection. I'm not saying everyone should use credit cards. I'm just pointing out that there are pros as well as cons to credit cards. LuAnn, it occurs to me that credit cards and/or debt are a little like alcohol. If you've ever abused them, it is perhaps wise to steer clear of them forever after and you may regard them with great fear and suspicion, but someone who's never abused alcohol is taking no real risk in having a glass of champagne at a wedding, or a beer or two while watching the Superbowl. Ron, thank you so much for your comments. You were able to give words to my heart and mind. I read some of the comments and I was stunned. Credit is more convenient than cash? If everyone stopped using Credit cards there wouldn't be enough cash to go around? I've been without credit cards for 3 years. I have used debit cards for over 20 years and had 1 false charge against it and I took care of it quickly. Heck my Credit Union called me up and asked about 3 transactions in a row after I spaced my PIN and used the credit option. That's why I use Credit Unions instead of Banks if at all possible. I refinanced my house and got a Used car loan with my CU no problem. I can easily monitor my accounts via the Internet. In Germany almost no one uses Credit cards, and they seem to do okay. It works great for me and I will never go back to having credit cards. I like that it takes a little bit of effort to do my spending. It forces me to really think about what I'm getting and cuts down shopping trips to twice a month. I do miss them once in awhile for about 5 seconds and then I think about the bills I had :) I admit I fell into that "If I can make the card payment, I'm fine" attitude. With the new financial reform bill ALL of your Credit transactions will be stored, tracked and saved by the Federal Government. I'm glad to use Layaway (Kmart/Sears) or save up for stuff. It no longer matters the health care bill and the financial bill has passed and it is law. I "hope" you enjoy the "change". Actually Jamie, there's a lot more truth to your statement than you realize. "It doesn't matter". It really doesn't matter. The health care bill doesn't affect about 97% of the people living here in America. The Cap and Trade is the same. The only problem is that folks ALLOW these things to have affect on them because they do not know the laws. It's akin to them voluntarily allowing a foot to be amputated just because they heard a doctor recommending it to someone else.